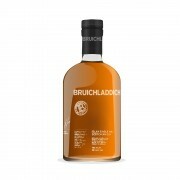 I've wanted to try this Bruichladdich for a long time but I've never brought myself to pull the trigger on it without trying it first. Luckily, a friend of mine (my wife's cousin's husband) opened a bottle this past Friday and I got to sample from it extensively. Also luckily, I made notes early in the evening, before getting too carried away. This whisky was sipped outside on a hot summer day and it feels like the appropriate setting for the Classic Laddie. This feels like a summer whisky. Maybe it's the marketing schtick or the colour of the bottle, but it's definitely reminiscent of the seaside. It's certainly no surprise that this is a young whisky (most being 7-8 years old if you check the bottling code) but it's a young whisky that's well-balanced. Everything is nicely integrated. Having tried it, I will probably buy a bottle the next time this goes on sale (as it often does). It's not a game-changer, but it's a very friendly whisky. Nice review. I’ve considered this one a long time, especially because people were very into the laddie ten as a great bang for your buck dram when I just started getting into whisky. I do have a bottle of Port Charlotte 10yo that I have yet to open. It’s got more peat than what you describe, but perhaps it would fit better with a warm summer day than I would have guessed. 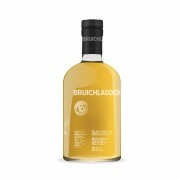 Nice review and not at all pretentious to try and nail down an elusive flavor you're picking up in your dram. I've been sitting on a comparative review of two different batches of Classic Laddie for some time, as I can't seem to keep the text to a reasonable length. I was surprised by how different they were yet they seemed to exhibit a fair amount of barley, fruits and slight coastal briny tang. How cool is to be able to check the vatting recipe? It's very informative and can be surprising too. This is one of the rare whiskys that has a radical price drop at the lcbo/saq, it used to retail for 85$ has since dropped to 65$ I believe. Nice review, thanks - I've never had this but love the 2nd Ed 10 I'm working through. This is around £40 over here and you've convinced me it would be worth the plunge!